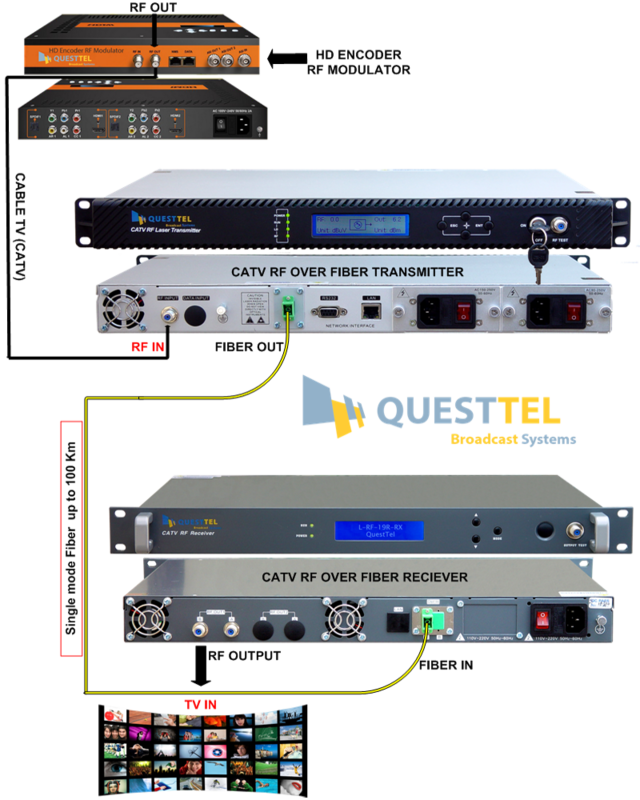 The QuestTel's 1310nm - 8mW direct modulated optical transmitter is the most important equipment to construct the CATV HFC network. It mainly used for the long distance optical fiber transmission of TV image signal, digital television signal, telephone voice signal and data (or compressed data) signal's. 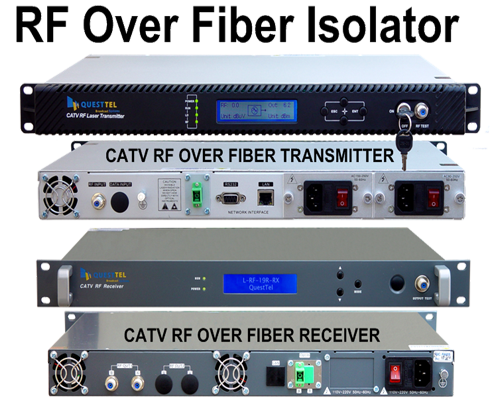 It converts any incoming RF signal within this band to optical RF and transports all channels and programs over one fiber. 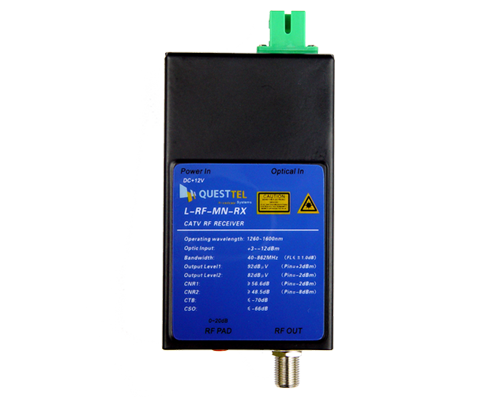 This product does use the high-performance DFB laser as the optical source with Automatic Gain Control. The RF drive part adopts RF power digital automatic processing technology and advanced RF pre-distortion circuit, and built-in microcomputer automatic monitoring system, to ensure the excellent performance indicators.